We are Mónica and Fernando, founders and CEOs of the Real Estate Agency “ForSale Negocios Inmobiliarios”, a project that was in the making for many years and that was finally materialized in 2011. We both were born in 1972, we met and got married in the 90`s and we started out working in the advertising industry and executive assistance services environment. We define ourselves as a couple with great dedication to service, as well as passionate about life and keeping a positive attitude always. 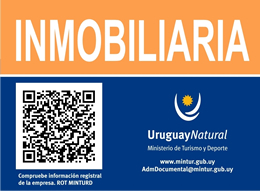 We are Uruguayan citizens as well as U.S. citizens, who emigrated from Uruguay years ago to expand our business horizons, and then, in 2009 we decided to return to our hometown to meet our relatives and friends once again. Therefore, we began our own Real Estate business company, with the intention of becoming, with your trust, the company to accompany you hereafter to realize your dreams in your Real Estate project. The primary goal of ForSale Negocios Inmobiliarios is to ensure the satisfaction of our customers and to meet their needs in regards to their Real Estate requirements. Our strategy to achieve that is reflected on our core values of respect, trust and professionalism. We keep these values in mind to provide a customized service to our customers and to build the trust and friendship that emerges over time. We specialize in buying and selling Real Estate properties. We are passionate about our job so we are focused on the maximization of our personal and professional potential to get the job done. We are dedicated to helping you with our team of local and foreign professionals and with the support of other resources such as media, social networks, as well as on line and outdoor advertising. We look forward to meeting you at our office located at Del Navío Ave. and Sagitario Ave. / La Paloma, Rocha, Uruguay.